Formal notice of the 2017 AGM has been posted to Members. Please note a change of venue. Kings’s Court Hotel, Alcester, Warwickshire, B49 5QQ. The Annual General Meeting is on Sunday 5 March 2017 and will commence at 11am. There are currently 4 committee vacancies;3 until 2018 and until 2019. Proposed nominations, accompanied by a seconder must be received in writing by the Secretary no later than 31 December 2016. Those members who have stayed at the hotel for the show weekend will know that the hotel offers an excellent menu and a 3 course lunch is available for £13.00. 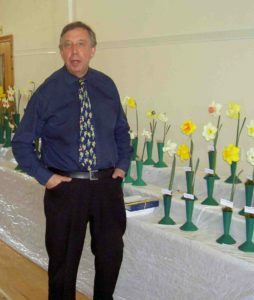 This is the perfect opportunity to catch up with daffodil friends and colleagues and discuss the forthcoming show season. Lunch will be followed by an illustrated talk on historic daffodils by current Vice chairman Ian Tyler. Contact Secretary Mrs Terry Braithwaite to confirm your booking and menu requirements.